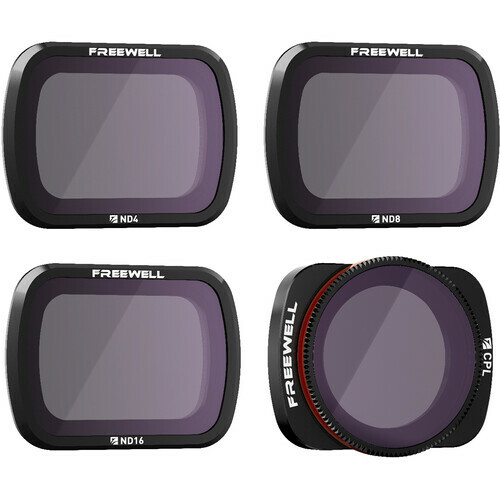 The Standard Day ND PL 4-Filter Set for DJI Osmo Pocket from Freewell helps capture clearer, more cinematic video with your Osmo Pocket gimbal in standard, average daylight conditions. The set includes three ND filters and one PL filter. The ND4 filter reduces the shutter speed by 2 f-stops, cutting the amount of light that hits the sensor, and helps capture clear images in overcast or fairly cloudy conditions. The ND8 filter reduces shutter speed by 3 f-stops for cloudy daylight conditions, and the ND16 filter reduces the shutter speed by 3 f-stops for normal daylight conditions. The PL filter (polarized lens) blocks unwanted glare that comes from reflective surfaces outdoors, such as water bodies, snow, or glass windows. 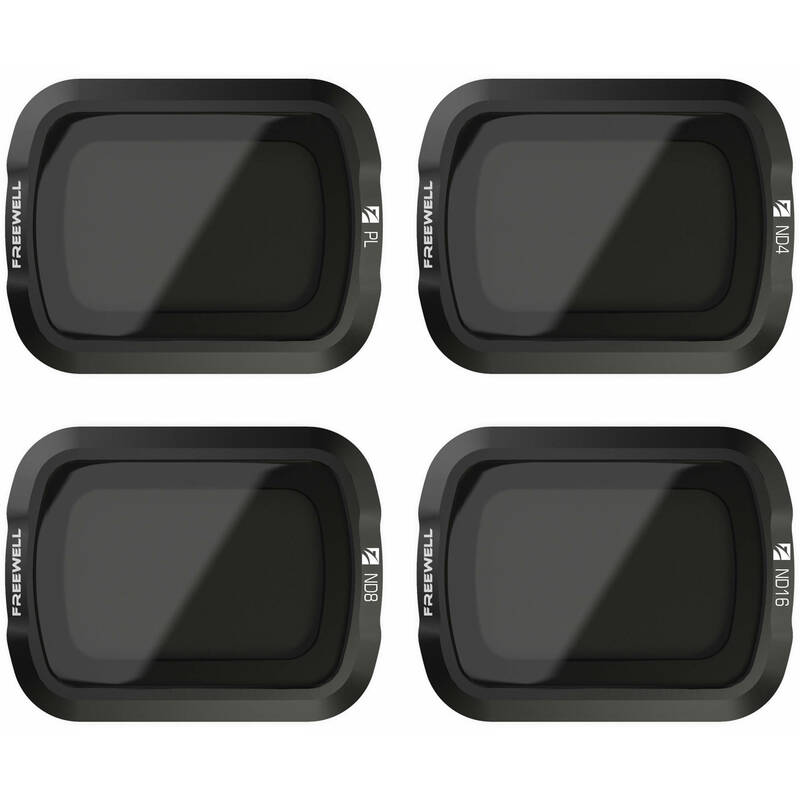 All four filters feature glass optics with 16 layers of coating for optimal image capture. They snap-on and remove magnetically without any tools required.